The Rockville Planning Commission may have set a new record for meeting length last night, starting at 6:15 PM, and wrapping up as the 2:00 AM hour approached. Commissioners spent about 4 hours on the controversial proposal to build 7 townhomes on the former site of Chestnut Lodge, once a hotel and world-renowned mental health facility. Around a dozen residents came to testify at a public hearing on Chestnut Lodge, with even more sitting in solidarity in the audience. Among them were two Rockville mayors, past (Larry Giammo) and present (Bridget Donnell Newton). Before they could speak, staff and the applicant gave presentations, and were cross-examined by commissioners. Despite getting a favorable recommendation for approval from city staff, JNP Chestnut Lodge, LLC, brought its own historic preservation consultant, Kathryn Kuranda. She strongly endorsed the developer's plan for townhomes, and said the community desire to instead rebuild Chestnut Lodge - which burned down in what many suspect was an arson incident in 2009 - was misguided and impossible. Kuranda said the papers that contain the necessary design and architectural records were in the basement of the former mental health facility, and were lost. Commissioners and speakers alike were skeptical of Kuranda's assertions, deeming them as merely her opinion on a matter whose options haven't been fully explored. In response to threats by the applicant and City staff that failing to approve the plan would result in punishment of Rockville by the federal government, Commissioner Jack Leiderman scoffed at the possibility that "jackbooted thugs from the Department of the Interior would show up to pull the plug on funding" for the City over a minor planning decision. 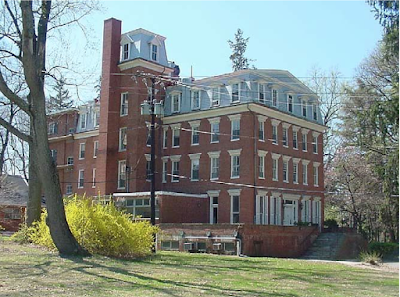 Leiderman noted that the historic preservation group Peerless Rockville had furnished a list of many more options for the Chestnut Lodge site than the commission had received from the applicant or staff. All that's needed, Leiderman said, and all that was approved in the original project plan, were the exterior and footprint. Sufficient records exist, and were utilized by architects in the lengthy planning stage, to reconstruct the lodge to that extent, he said. Commissioner Don Hadley quizzed Kuranda about those "records," asking if they had been protected or archived. Kuranda said they had not. Nancy Pickard of Peerless Rockville, which owns the historic Frieda's Cottage on the Chestnut Lodge site, said she believes three City documents clearly call for preservation of the landscape and/or reconstruction of the lodge. Peerless believes the Planning Commission has the purview and responsibility to decide the outcome of this case, she said. Pickard told commissioners that the contemporary building proposed by the applicant threatens the historic value of the site. She said that a reconstructed replica would better protect the site's status, as long as it was clearly labeled as "a contemporary recreation." Pickard noted that new buildings are discouraged in the West Montgomery Avenue Historic District, as well as "uses that are incongruent" with historical uses and character. She said the proposed building is more horizontal than the vertical-oriented Chestnut Lodge, which would alter the historic viewshed from W. Montgomery Avenue, and from backyards of nearby homes. "We are not taking a singular position on what needs to happen here," Pickard said, but added that she agreed that historical restoration in this type of case is typically always about the exterior of a building. Hadley asked Pickard how the applicant's plan might impact the historical integrity of the larger Chestnut Lodge property. "It could call it into question," she replied. "You have to be careful about what you build here." A representative of the Thirty Oaks HOA said his adjacent community would be stuck "looking at the 14 garage doors staring at our backyards." "Why suddenly...it's larger than what we had," he complained. "Why do we have to change the rules to satisfy the developer? It's all about maximizing profits. Not a single time has anyone approached us to get our opinion about it." Another nearby resident, Marion Hull, requested commissioners "not recommend approval" of the application. She said someone needs to be held accountable for the failure to protect the Chestnut Lodge property and records. Holding up a high-resolution photo, she said enough detail was visible in it to recreate the lodge exterior. Patricia Woodward, chair of the West End Citizens Association Chestnut Lodge Committee and a former head nurse at Chestnut Lodge, emphasized the history and impact of the work that was done there on the mental health field internationally. 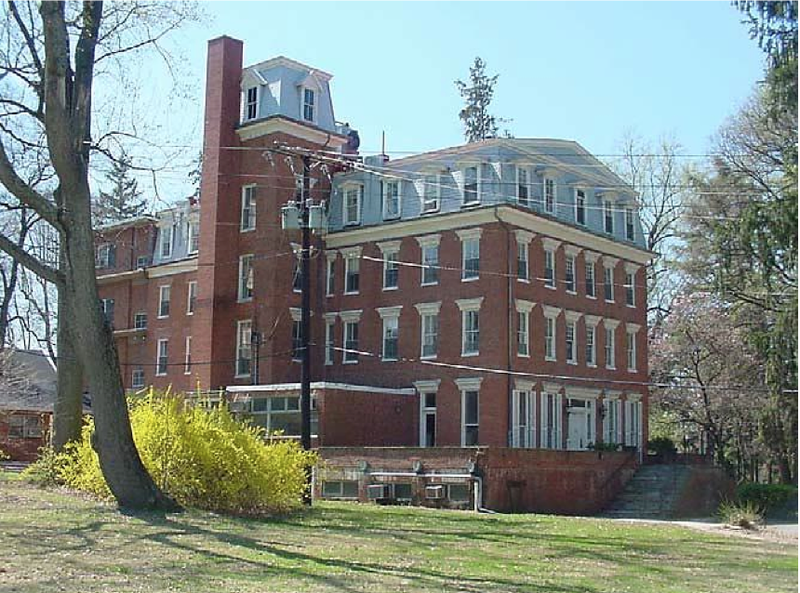 Many employees there went on to acclaimed careers at other facilities and learning institutions, she said, even as Chestnut Lodge itself "became the most notable mental health institution in the world." In fact, as recently as 1994-96, Chestnut Lodge remained in the top tier of U.S. News and World Report's annual list of the best mental health facilities. And Chestnut Lodge was the basis for the novel, I Never Promised You a Rose Garden. "There's too much history here to be disregarded," Woodward concluded. Former mayor Giammo concurred, saying Chestnut Lodge was the most historic property in the city before its demise. Giammo was the mayor when the property was designated historic, and when the City forged the Planned Residential Unit (PRU) agreement with the developer at that time. Last night, he said he was proud of his votes on both. Giammo again criticized the developer who failed to secure the site in 2009, even as repeated break-ins occurred at the main building. He accused the developer of "willful negligence," recalling a pompous TV appearance by the principal of the firm, in which he appeared to mock the idea of security. "There he is in a room full of shredded paper and flammables, joking about intruders," Giammo recounted. The former mayor pointed out that even lesser buildings on the site have been recognized as worthy of restoration. He said there absolutely is enough visual material from which a reconstruction of the exterior would be possible. Computer programs today, he added, can generate architectural measurements and data from photographs. To the question of whether or not the applicant's townhomes would be appropriate for the site, Giammo said the answer was "a definitive no." Leiderman asked Giammo what his reaction to this proposal would have been if it had been brought forward during his time as mayor. "It would have been a non-starter from the first millisecond," Giammo replied, adding, "God help us what this is going to look like when it's constructed." Noreen Bryan, President of the West End Citizens Association, told commissioners there is widespread community opposition to townhomes on this site, because they don't recreate the historic feel of the site. WECA resolution calls on the City to develop a vision for the site in consultation with citizens. Another HOA president, Paul Newman of Thirty Oaks, said he was speaking for himself only last night. He said any claim that there are no plans available from which to recreate Chestnut Lodge are "ridiculous" and "disingenuous." The applicant's plan would "obliterate" the property's signature traffic circle, and take up more of the lawn rather preserving it. Trees the developer promised to care for "are dying," Newman reported. "Why should anything change" from the original PRU, he asked the commission. "It was far more important than simply a local landmark," resident Andrew Sellman told the commission. "Is it properly designated? Maybe it's a national historic site, and we need to consider that." Sellman said his research revealed that psychiatric papers as recent as 2014 are still citing work that was done at Chestnut Lodge. Chestnut Lodge ended the idea of "insane asylums," he said. Historian Eileen McGuckian said the property is already on the National Register of Historic Places. "I still find it painful to visit the vacant site," she said. McGuckian advised the commission that the City indeed has Chestnut Lodge plans from two different consulting firms, and numerous photographs. Any new structure should have four sides, and a common entrance, she said. The current proposal is "out of character" with the historic site. McGuckian suggested Forest Glen as a good model, where a historic gymnasium was converted into 12 condos. She said she was in the basement of Chestnut Lodge, and made a four-page list of all of the documents down there. Reminding commissioners that the only reason this single-family home-zoned site got higher density was to save the main building at Chestnut Lodge, resident Jeanne O'Meara said, "We sold our soul" to keep the main building, she said. Two residents of the single-family homes in the Chestnut Lodge development spoke in favor of the townhome plan, saying they are currently on the hook for the high maintenance costs for the common areas, and would like new residents who could take on their share of those expenses. They also said they fear a lesser plan could be put forward in the future that would make this one look good by comparison. Newton spoke as a citizen, rather than as the Mayor, and reminded the Chestnut Lodge residents that condo owners in a reconstructed main building could contribute financially just as well as townhome owners. After the public hearing ended, Leiderman made a motion to recommend the Mayor and Council not approve the amendment to the PRU requested by the applicant. His motion was seconded by Commissioner John Tyner. Nobody gets a PRU amendment "by right," Leiderman said. The developer knew going in that purchasing land with that requirement was risky, he added. Multifamily zoning was offered "solely for the purpose of preserving that building," Leiderman continued, noting that with the building destroyed, there is now no rationale for multifamily zoning. The fact that the applicant's latest proposal exceeds the original footprint of the main building is a violation of the PRU, he said. The townhouse plan "obviously does not fit in any way, shape or form" on the Chestnut Lodge site, Leiderman said. This proposal is "not even remotely appropriate to this site. To most people who look at this objectively, it's a no brainer." Tyner concurred. "I just think it's not appropriate in this area," he said. "It's a very, very historic part of Rockville. It's an area we're extremely proud of." Hadley said it would be "irresponsible" to recommend approval of the plan last night, without exploring the other options for the site first. Chair Charles Littlefield called the vote, and Leiderman's motion to not recommend approval passed unanimously. Later, the commission also unanimously approved the site plan for the former CarMax dealership at 15931 Frederick Road, by the Shady Grove Metro station. A residential project, it will house 405 units. Commissioners again expressed strong reservations about the project's lack of retail space. A waiver to allow underground installation of electrical transformers passed 4-2. Are you repeating yourself? This is the same article as above.